It's fair to say Odyssey are obsessed with putters and their latest bout of R&D has led them down a path of exploring sound and feel deeper than ever before. 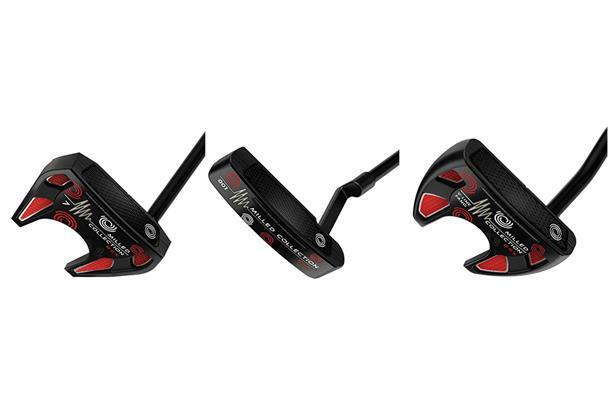 Odyssey’s engineers have worked really closely with Phil Mickelson to create a new precision milled sound chamber in the sole and behind the putters face, which they say gives a crisp sound at impact and delivers great feedback. Other updates include a laser etched 17-4 Metal X stainless steel face insert and a new stabilizing crossbar to help stabilize feel and sound across the face. There’s also a black powder coated shaft to eliminate glare and a full on cabretta leather grip and specially designed headcover. The range of three popular head shapes were never designed to be mass market products but instead are aimed at serious flat stick fans. With only 100 pieces of each head making it to Europe you’ll need to be quick to snaffle one when they hit selected retailers on the 15th July with an RRP of £349. For further information visit www.odysseygolf.com.